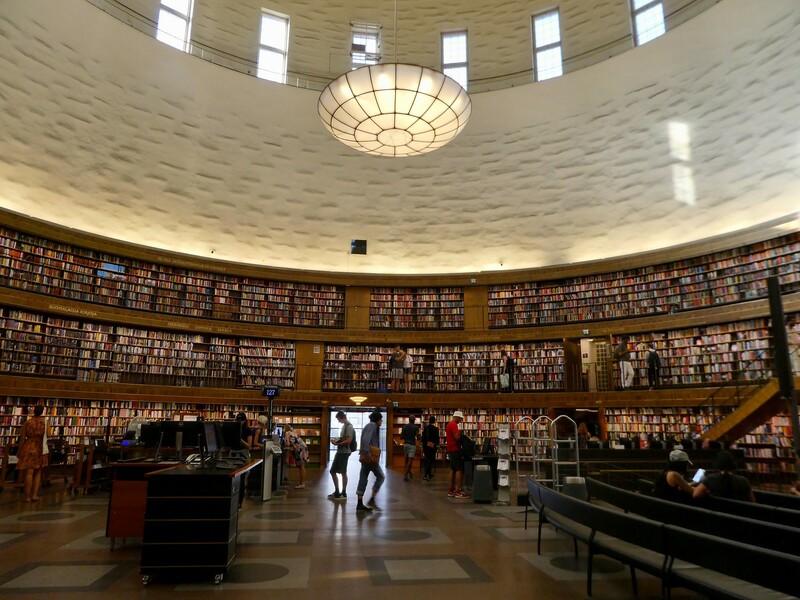 The rotunda is ringed with three terraced levels of open shelving and was the first Swedish library to allow visitors to access the shelves themselves without asking library staff for assistance. I climbed to the upper terrace and peered down on the magnificent hall with its curved bookcases and the floor which had been styled on the Pantheon in Rome. Back at ground level, we explored the five subject rooms which are all accessed from the central rotunda. These smaller rooms had recessed shelving and leather topped desks each with a traditional brass lamp to provide illumination. Before leaving, we went downstairs to explore the children’s section which was exquisitely designed with youngsters in mind. The ceiling of the first room displays a starry sky and alongside books there are lots of toys and games to keep children amused. 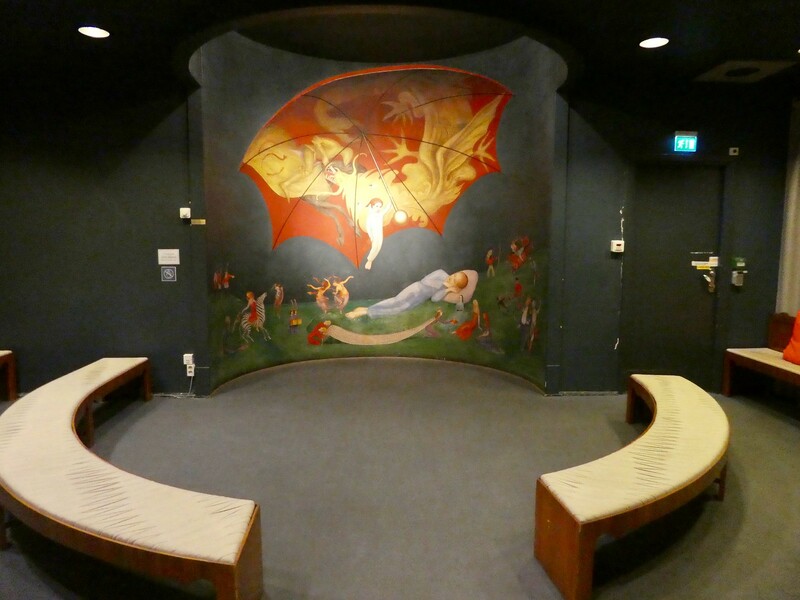 I have never seen such a beautiful story telling room with its circular style wall painted murals and cosy seating that surely must captivate all small children. It was then back to the Biz Hotel Apartment in nearby Solna to collect our belongings before making our way to Stockholm’s Arlanda airport. 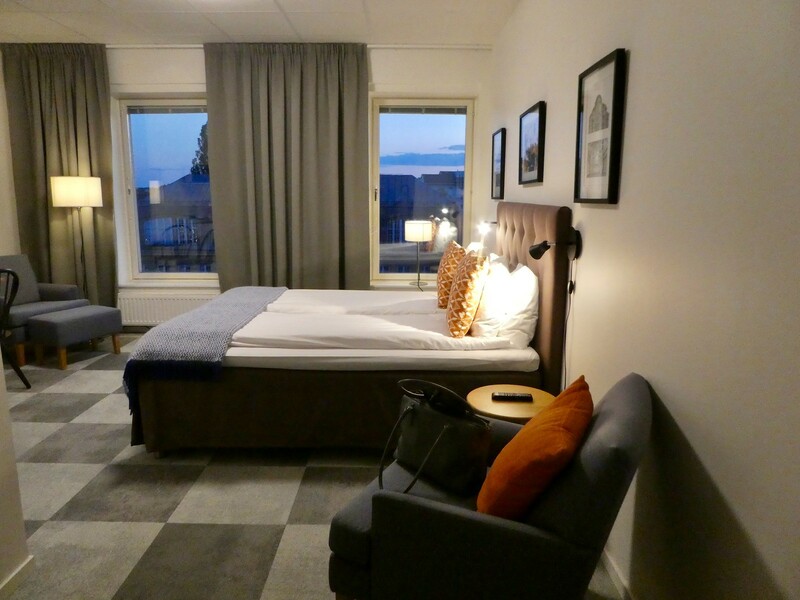 Our studio apartment had been a good choice for our two week stay in Stockholm as it provided us with the flexibility of both eating in as well as enjoying evening’s out sampling the local cuisine. The apartment block was a six minute walk to Solna Centrum station on the Blue Line with trains taking only ten minutes into the city centre. Returning to the airport, we caught the 41X commuter train to Märsta station which took 25 minutes and from outside the station we transferred to the 583 bus to the airport, taking approximately 15 minutes. Wherever you might choose to stay in Stockholm, transferring to and from the airport by this method is very easy and costs only SEK 44 (£3.80 each way) with the journey also being included in the SL-Access travel card. If you prefer to transfer between the city centre and the airport by the Arlanda Express train which takes only 20 minutes, the single fare is a whopping SEK280 (£24.25 each). There was no-one waiting to check in at the KLM desk so we quickly parted with our luggage, sped quickly through security and had plenty of time to enjoy large cappuccinos before our flight back to Amsterdam. As it was so clear we had some excellent views over the Swedish archipelago and again on our approach into Schiphol airport. 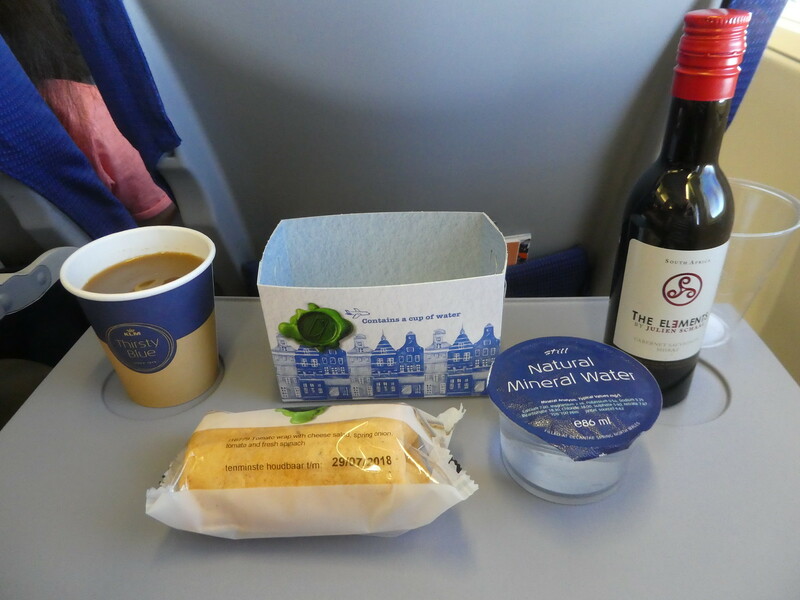 On board the Boeing 737-700 series aircraft for our 90 minute flight we were given small boxes adorned with tulips and windmills which contained tasty cheese and ham sandwiches. As the drinks trolley passed, I enjoyed a glass of red wine and a coffee and it then seemed no time at all until we were landing in Amsterdam. We were only in transit 75 minutes in Schiphol airport so we had a look in a few of the airside shops before finding our gate for our homeward bound flight to Manchester which was also on time. This flight was also on a Boeing 737-700 series aircraft. A City Hopper Embraer 90 is normally used on this route but larger aircraft are occasionally brought into service to meet increased passenger demand. On this shorter flight we were served a chicken and pepper wrap, water, alcoholic drinks and coffee from the friendly and efficient flight attendants. 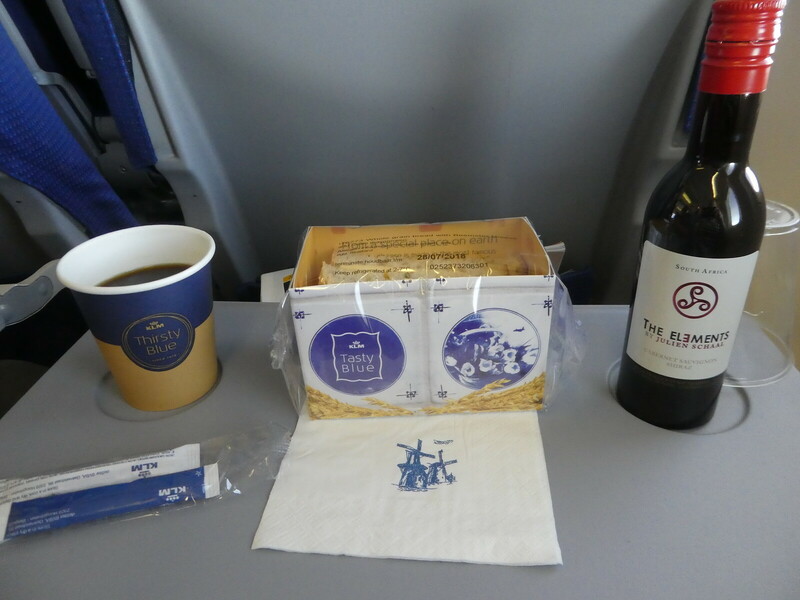 I have always enjoyed flying KLM and their service creates a pleasing start and end to my trips. This brings to an end my series of posts on our two week holiday in Stockholm. 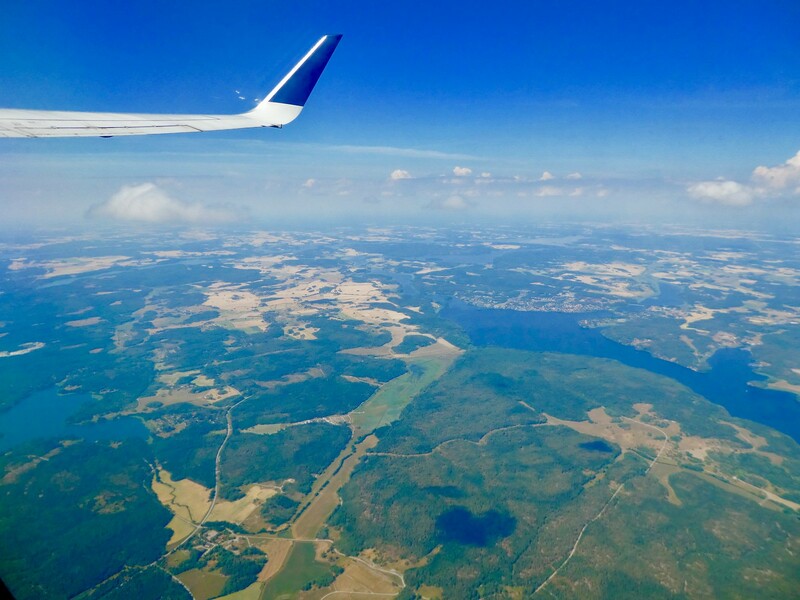 We found so many interesting things to do and places to visit that I hope my posts might inspire some of you visit the Swedish capital for yourselves. Finally, I would like to thank both Visit Stockholm and Destination Uppsala for helping to make this visit possible. As always, all views and opinions are entirely my own. The library was really beautiful. Thank you for your comments. Luxury touch to every thing. Wow! Thank you, the library was gorgeous! The children’s reading room looks like something I could get into for my own reading room 🙂 And the floor-to-ceiling multi-level books are awesome. Want one just like it in my town. You had a great trip in a beautiful country. Good luck in your next trip! Thank you for your kind words, I’m so pleased you enjoyed this series of posts on Stockholm. Hope you enjoy what’s coming up next! Not long to wait and see! Thank you for taking an interest in this library, it was absolutely beautiful. 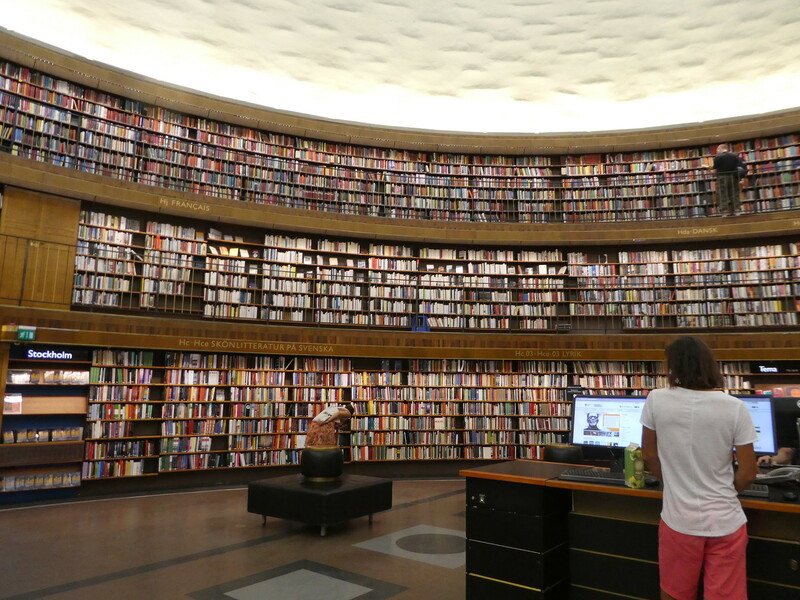 What an amazing library! You are also very fortunate to have been able to spend a long period of time in Sweden. I often find that my first trip to a new place always seems too short and am wishing that the trip could have been longer. The library was indeed beautiful. It was fortunate that we came across that apartment to stay in otherwise we might have had to have a shorter holiday as prices are quite high in Stockholm. What a fabulous way to finish off your wonderful holiday Marion. Thank you Sue, the library was absolutely beautiful! What a wonderful building. I love libraries, a glimpse into a nation’s soul! Thank you so much for your kind words. Libraries are beautiful and so educational! Stunning library! Thanks for sharing your gorgeous photos. 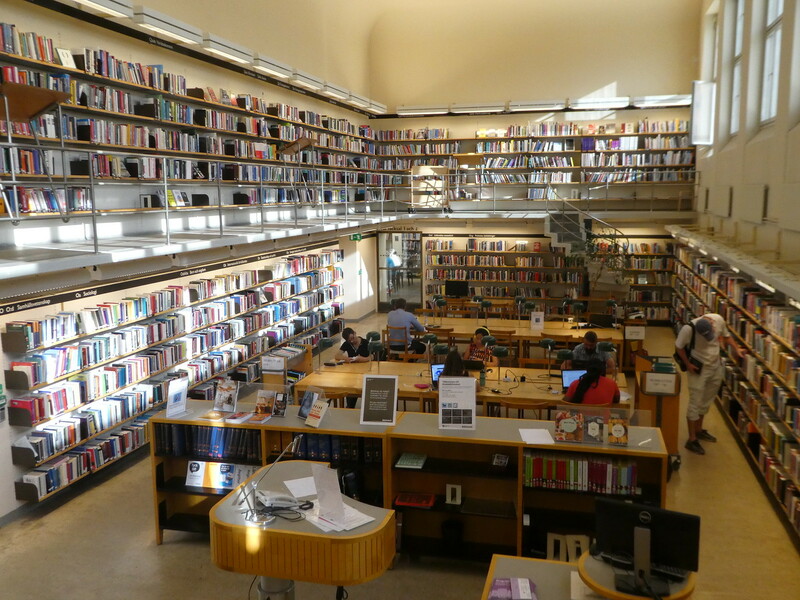 I also like visiting libraries when I travel and it is always wonderful seeing a new one. Thank you Todd for your kind words. The library is stunning. I know, the rotunda is absolutely beautiful isn’t it. Thank you for your kind words. Yes, it’s gorgeous, thank you . Oh, that circular room makes my heart flutter. Sigh. I know, it’s absolutely gorgeous, isn’t it . Thank you so much for your kind words. I agree that it doesn’t look great from the outside but inside makes up for it totally. 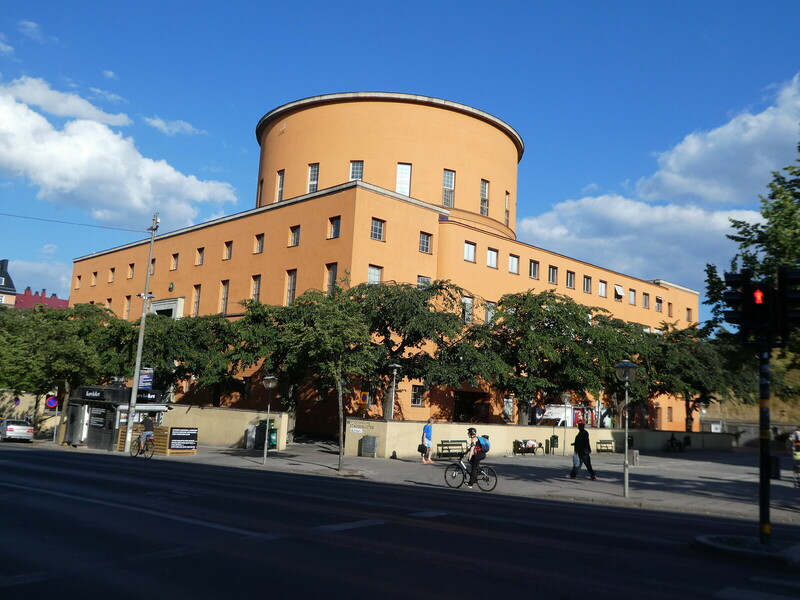 The new library in Helsinki is due to open on December 6th, and we’re there the weekend before! So frustrating… Love this and it does seem like a good visit to make. Thank you Stella for your kind words. I”d read that the new Library in Helsinki was opening soon, what a shame you couldn’t look inside . Hi Marion, Yes, do what you can when you can! Life is too short Although we are very lucky, healthwise, my husband is now 90! (while mentally 40,,,). and I’m only four years behind him. The spirit is very much willing but the flesh is weak! (So true…) Best wishes. Impressive library. I love reading. Thanks for the series on Stockholm. So pleased you enjoyed it Ian, thanks for your continual support of my blog, I do appreciate your valued feedback.